Mrs. Jane Nelson Walker died at her home Wednesday, Jan. 10, 1951 after a long illness. She was born at Arnot, Pa., Nov. 15, 1874, the daughter of the late John and Mary Dix Nelson, who were both born at Scotland and came to this country when they were very young. She spent her early childhood in Arnot where her father was mine foreman for a number of years, later the family moved to Covington, Pa., RD 2 where Mr. Nelson retired. On July 31, 1901 she was married to William J. Walker of Covington. They took up farming on their ram a Covington RD 2 and have lived there for 48 years. The large flower tribute shows that the friendly voice of Jane is greatly missed by her friends and neighbors. She was a member of the Presbyterian church at Arnot. Also of the Elizabeth Rebekah lodge at Covington of which she has been an active faithful member for many years. She is survived by her husband, William J. Walker. One brother, James A. Nelson of Philadelphia, who is a member of the faculty at State College. Some nieces and nephews at Philadelphia, Dubois and Johnstown. Funeral services were held Saturday, Jan. 13, at the Shaw & Robena Funeral Home. Burial in the family plot at Arbon Cemetery, Blossburg. The Rev. Howard McCloy officiating. James A. (Buster) Norman, 84, formerly of Arnot, died Friday, Aug. 25, 1972, at the home of his daughter, Mrs. Loretta Rupp, of Horseheads, NY, with whom he resided. Mr. Norman was born in Arnot, May 21, 1888. He was a retired employe of Remington Rand Corp, Elmira, NY, and a former employe of the W and K Manufacturing Co., of Blossburg. Surviving, besides his daughter, are a brother, Harry, of Portage, a foster son, John Dryburgh, of Elmira; a foster daughter, Mrs. Charles Ogden, of Covington, two grandchildren and three great grandchildren. The funeral was held at 2 pm Tuesday at Shaw and Robena's, Mansfield. Burial was in Arbon Cemetery, Blossburg. FRED A. NYBECK, SR., 67, life long resident of Morris Run, PA and recently of the Green Home in Wellsboro, diedJanuary 8, 2003. Born June 2, 1935, in Morris Run; he was son of Alice (Brooks) Nybeck and the late Albert Nybeck. Mr. Nybeck was employed by West Brothers Used Cars (formerly of Mansfield), the Ward Foundry in Blossburg and the Jones & Brague Mining Company. He also enjoyed bartending at the Morris Run Legion and the Town Tavern. He was a social member of the American Legion Post No. 167 in Morris Run. He loved to go play bingo, visit with his mother, and spend time at the family’s campground. In addition to his mother, Alice, Morris Run, surviving are his loving wife of 38 years, Mary Jane (Grimm); seven children and their spouses, Fred J. and Theresa Nybeck, Morris Run; Dixie and Willard Overpeck, Wellsboro; Martha and Tim Wilcox, Morris Run; Kathy Short, Blossburg; Rose and Ernie Leonard, Morris Run; Linda Nybeck and Ralph Sayrman, Blossburg; Peggy Holley and Jeff McFall, Canton; brothers and spouses; Donald and Ethel Nybeck, Lebanon, PA; Joseph and Mary Nybeck, Canton; Raymond Nybeck and fiancee, Sandy, Troy; Vern and Candy Nybeck, Morris Run; sister and spouses, Alice Smith, Lawrenceville; Joyce and Donald Wickman, Sandy and Richard Board, Morris Run; brothers-in-law and sister-in-law, Edward Lucas, Sr., Morris Run; Harry Moore, Canton; Patricia Bruster, Wyalusing; 19 grandchildren and 10 great-grandchildren; several nieces, nephews, cousins and many dear friends. In addition to his father, Albert “Shab” Nybeck, he was predeceased by a son, Robert; brother, Richard; sister, Carol Lucas; brother-in-law, Datus Smith and a sister-in-law, Adriean Baird. The funeral and committal services were held at the Zwicharowski funeral Home, Blossburg, January 12th with the Rev. David Shultz officiating. Burial was in the Arbon Cemetery. –Canton Independent Sentinel. Age 32 of Blossburg RD 1 on Sunday, January 9, 1977. Friends are invited to call at the Kuhl Funeral Home, Mansfield, Tuesday 2 to 4 and 7 to 9 pm. Funeral there Wednesday 10 am. Pastor Fred Joseph officiating. Burial in Arbon Cemetery, Blossburg. Survived by wife, Karen Carey Nybeck; four daughters, Alice, Dawn, Denise, and Amy, all at home; parents, Albert and Alice Brooks Nybeck of Morris Run, Pa.; five brothers, Fred of Morris Run, Donald of Lebanon, Pa., Joseph of Canton, Pa., Raymond of Blossburg, Pa. and Vernon of Morris Run; four sisters, Mrs. Datus (Mary Alice) Smith of Morris Run, Mrs. Donald (Joyce) Wickman of Morris Run, Mrs. Edward (Carol) Lucas of Morris Run, Mrs. Daniel (Sandra) Short of Liberty RD 1. He was employed at Jones and Brague Mining Co. as a heavy equipment operator. He was a veteran of the Vietnam War and a member and post adjutant of American Legion Post No. 167, Morris Run; member of Hillside Rod and Gun Club, Blossburg, Moose Lodge No. 1147, Wellsboro. He was born June 29, 1944 in Morris Run. Alfred Ogden, 87, of Riverside Park, Blossburg, died Monday, May 22, 1972, in the Blossburg State Hospital. He was born in Ogdensburg July 13, 1884, a son of Isaac and Rebecca Withey Ogden. Mr. Ogden was a member of the Blossburg United Methodist Church. He was a retired Erie Railroad engineer. Surviving are two daughters, Mrs. Mildred Johnson and Mrs. Betty Johnson, both of Blossburg; three sons, Robert, in California, and Harold and Howard, both of Blossburg, 31 grandchildren and 48 great-grandchildren. The funeral was held on Thursday at Adams', Main St. Burial was in Arbon Cemetery. The Rev. James W. Garthoff, pastor of the Whitneyville United Methodist Church, officiated. Ogden, Alfred, age 87 of Riverside Park, Blossburg, Pa., Tuesday, May 22, 1972 at the Blossburg State General Hospital. Friends are invited to call at the Adams Funeral Home Wednesday 2 to 4 and 7 to 9 p.m. Rev. James W. Garthoff officiating. Burial in Arbon Cemetery, Blossburg, Pa. Survived by daughters, Mrs. Mildred Johnson and Mrs. Betty Johnson, both of Blossburg, Pa.; sons, Harold and Howard Ogden, both of Blossburg, Pa. Robert Ogden of California; 31 grandchildren; 48 great-grandchildren. Mr. Odgen was a member of the Blossburg Methodist Church and a retired Erie Railroad Engineer. GORDON W. (JOE) OGDEN, 70, of RD 1, Troy, died December 14, 1987. He had owned and operated Ogden’s Meat Market in Blossburg for 39 years until his retirement in 1974. He is survived by son and daughter-in-law, Jerome and Joann Ogden of Blossburg; four sisters and two brothers; two grandchildren; dear friend, Thelma Freeman of Canton; several nieces, nephews and cousins. Services were held December 16 at the Drinkwine Funeral Home in Blossburg with Rev. Carl E. Hill officiating and interment to be in Arbon Cemetery, Blossburg. –Canton Independent Sentinel. Gordon W. (Joe) Ogden, 70, of RD#1, Troy, died Monday, Dec. 14, at home. Born Jan. 10, 1917 at Blossburg, he was the son of Clarence and Nora Bergquist Ogden. A former member and operator of Ogden's Meat Market in Blossburg for 39 years, retiring in 1974, he presently was a part-time employee at the Holiday Market in Blossburg. He was a member of the Hillside Rod and Gun Club in Blossburg and the Red Run Rod and Gun Club in Roaring Branch. A World War II veteran in the US Navy, he was a member of the William B. Wilson American Legion Post and Veterans of Foreign Wars Post in Blossburg. Surviving are a son and daughter-in-law, Jerome and Joann Ogden of Blossburg; four sisters, Mrs. Gladys Heatherton of Elmira, NY, Mrs. Gertrude Bailey of Wellsboro, Mrs. Doris LeBlanc and Mrs. Hazel Skullney, both of Blossburg; two brothers, Kenneth and Donald, both of Blossburg; grandchildren, Jerome Ogden II and Jennifer Ogden; dear friend, Thelma Freeman of Canton; and several nieces, nephews and cousins. Funeral services were held today, (Wednesday, Dec. 16), at the Drinkwine Funeral Home, 120 North Williamson Road, Blossburg, at 1:30 pm. The Rev. Carl E. Hill officiated. Burial was made in Arbon Cemetery. KENNETH S. OGDEN, 89, of 203 S. Williamson Road, Blossburg, died Monday, March 8, 1999, in Williamsport Hospital. He retired in 1974 as a foreman from J.P. Ward Foundry. Born here July 9, 1909 he was a son of Clarence and Elnora Berquist Ogden. Surviving are his wife of 27 years, the former Frances Brainard; two sons, Richard and Clinton “Buddy”, both of Blossburg; a brother, Donald of Blossburg; three sisters, Gertrude Bailey of Wellsboro, Doris LeBlanc and Hazel Skullney, both of Blossburg; two stepsons, Robert Robinson of Cornville, Ariz., and Ronald S. Parker Jr. of Mayer, Ariz.; three stepdaughters, Donna Adams of Big Flats, N.Y., Carolyn Eiswerth of Williamsport and Carol Richardson of Troy; four grandchildren; five great-grandchildren; several step-grandchildren and step-great-grandchildren. He was predeceased by a brother, Gordon, in 1987 and a sister, Gladys Hetherton, in 1997. He was predeceased by a brother, Gordon, in 1987 and a sister, Gladys Hetherton, in 1997. The funeral will be at 11 a.m. Thursday at Zwicharowski’s, 314 Granger St., with the Rev. Archie Cruikshank, pastor of Blossburg and Covington United Methodist churches, officiating. Interment will be in Arbon Cemetery. Friends may call at the funeral home from 6 to 8 tonight. The family will provide the flowers. –Williamsport Sun-Gazette. RANDY LEROY OGDEN, 46, of 116 Gulick St., Blossburg, died peacefully Sunday, Dec. 14, 2003, in the Williamsport Hospital. Born Jan. 19, 1957, in Blossburg, he was the son of Donald and Jane Wesneski Ogden. He was employed by Ward Manufacturing for 16 years. Randy is survived by his parents of Blossburg; and several nieces and nephews. Friends and family will be received in the Freeberg Funeral Home, 120 North Williamson Road, Tuesday, Dec. 16, from 10 a.m. until time of service at 11 a.m. Officiating will be Rev. Sherry Good. Interment will follow at the Arbon Cemetery, Blossburg. COVINGTON – The funeral will be Monday for William L. OGDEN, 34, of Covington, who was killed Friday, Nov. 30, 1973, when the truck he driving collided with a Penn Central Train at a crossing near Niles Valley.He was born in Blossburg on March 1, 1939, a son of Howard and Ruth Krager (Kreger) Ogden.Surviving are two daughters, Misses Pamela Lynn and Billie Jo Ogden, both of Covington; his parents, of Blossburg; five sisters, Mrs Patricia Lamberson, of Wellsville, Mrs. Shirley Bohart, of Liberty, Mrs Beverly Tomlinson, of Mansfield, Mrs. Betty Bartlett, of Covington, and Mrs. Dorothy Krause, of Blossburg, and two brothers, Allen, of Morris Run, and Leonard, of Blossburg.Burial will be in Arbon Cemetery, Blossburg. The funeral was held on Monday for William L. Ogden, 34, of Covington, who was killed Friday, Nov. 30, 1973, when the truck he was driving collided with a Penn Central train at a crossing near Niles Valley. He was born in Blossburg on March 1, 1939, a son of Howard and Ruth Krager Ogden. Mr. Ogden was a member of the Blossburg United Methodist Church. He was employed by the Hamilton Coal Co., a division of Jones and Brague Mining Co., Blossburg. Mr. Ogden was a member of the Hillside Rod and Gun Club and the Hamilton Club, Morris Run. Surviving are two daughters, Misses Pamela Lynn and Billie Jo Ogden, both of Covington; his parents, of Blossburg; five sisters, Mrs. Patricia Lamberson, of Wellsville, Mrs. Shirley Bohart, of Liberty, Mrs. Beverly Tomlinson, of Mansfield, Mrs. Betty Bartlett, of Covington, and Mrs. Dorothy Krause, of Blossburg, and two brothers, Allan, of Morris Run, and Leonard of Blossburg. The funeral was held Monday at the Adams Funeral Home, 303 Main Street, Blossburg. Burial was in Arbon Cemetery, Blossburg. The Rev. W. A. Camp 3rd, his pastor, and the Rev. George Niles, a friend of the family, officiated. Lenore Age 84, of McIntyre St., Blossburg, died at the Soldiers and Sailors Memorial Hospital, Wellsboro. Born May 29, 1921 in New Bloomfield, the daughter of the late Rev. Leonard and Alice Owens, former Williamsport residents. Lenore was married to William C. Lawson, who preceded her in death; she later married George S. Wilson who survives. Lenore was a graduate of William Penn High School in Harrisburg and received a BS Degree from Mansfield University. She taught school at Harrisburg City School system for ten years and for many years at the Blossburg School system. Lenore was a member of State and National Retired Teachers; BPW, charter member, of Blossburg; committee person, county politics; United Methodist Church, Blossburg, Friendship Circle, choir and many committees in the church; Sr. Citizens committee. In addition to her husband, Lenore is survived by stepchildren, Carol (Robert) Alexander, Liberty, Joyce (Edgar) Messner, East Point, Sharon (Robert) Smith, Mansfield, and John (Norma) Martin, Mansfield; 16 grandchildren; 11 great-grandchildren. Preceding her in death were her first husband; and two brothers, Edgar L. Owens and Dr. Robert Owens. Friends will be received at the Freeberg Funeral Home, Blossburg, Friday, January 27th, from 11 a.m. until 1 p.m. Funeral services will follow at 1 p.m. with Pastor Jason Guillaume officiating. Interment will be at Arbon Cemetery, Blossburg. Donations may be directed to The United Methodist Church, Blossburg; or to Broad Acres, Wellsboro. 69, of Blossburg, PA died at The Green Home in Wellsboro on March 27th, 2012. Doris was born on October 8th, 1942 in Sayre, Pennsylvania and was the eldest of 2 children born to Russell and Margaret Page. She grew up in Blossburg, PA where she met and married her first husband, Edward Sampson in 1959. Her second marriage to Robert A. Scheerer occurred on February 20, 1968 “Bob” Scheerer died on February 23, 2009 following 41 years of marriage. Doris will forever be remembered as someone who was always taking care of others, her tireless energy and work ethic, her abundant generosity and her big heart. She was most recently employed in the cafeteria for Southern Tioga Schools. Previously she worked for the Wundies Company and Ward Manufacturing. She was a member of Blossburg’s First United Methodist Church and the Church’s Friendship Circle group, a charter member of Blossburg’s Wm. B. Wilson American Legion Post 572 Auxiliary and a member of Liberty’s V.F.W. Post 6755 Auxiliary. She was a former member of the Blossburg Fire Department and Ambulance Association. Doris enjoyed spending time with her Family and Friends, the girls at work, the church, crafting, camping, and watching her favorite sport, NASCAR, where she loyally rooted for Dale Earnhart Jr. She was also devoted to her pets. She leaves behind her Aunt and best friend Marian Lindquist, Brother Russell (Bubby) Page; Step-Brothers Billy and Carl Page; Children Ed (Jimmy) Sampson, Randy Sampson, Bobbi Jo Brooks; Treasured grandchildren Nikkole, Anthony, Justin, Ashley and Amber; Step-Grandchildren, Bobby, Stephanie, and Nichole. Son’s in-law Greg Brooks, David Cooperman; Daughter in-law Nora Sampson; “Adopted” daughter Kim Sampson; Dearest friend Jim Weaver; and her many, many wonderful family members and friends who were blessed to know her. Calling hours are 1-3 PM and 5-7 PM, Saturday, March 31,2012 at the Zwicharowski Funeral Home, 314 Granger St. Blossburg PA, followed by the Funeral and Community Services at 7PM. Burial will be at the Arbon cemetery at a later date. Memorials may be made to Blossburg Fire and Ambulance Association, P.O. Box 2 or the First United Methodist Church 108 North Williamson Rd, both in Blossburg, PA 16912. Russell Henry Page, 89, of Blossburg died Friday, Oct. 27, 2000, at the Green Home, Wellsboro. Born May 28, 1911, in Kendall, N.Y., he was the son of John and Lillian Jeffrey Page. He was employed by Ward Manufacturing in Blossburg for over 30 years until his retirement. In earlier years, he served as police officer for the Blossburg Borough. He was a member of the Holy Child Catholic Church in Mansfield; the Blossburg Knights of Columbus Council No. 2167; and was a life member of the Whispering Pines Cap and Flint Club. He was an excellent marksman. He enjoyed black powder shoots, hunting and fishing. Preceding him in death were his first wife, Margaret, in 1953; and one brother, Raymond, in 1978. Surviving are his wife, Kathleen, at home; four children, Russell Page Jr. and Doris Scheerer, both of Blossburg, Carl Page of Harrisburg and William Page of Mansfield; 14 grandchildren and 10 great-grandchildren; four sisters, Daisy Waight and Lillian Sechrist and Ruth Riley, all of Pine City, N.Y., and Kate Perkowski of Elmira, N.Y.; three brothers, John Page of Horseheads, N.Y., Ken Page of Ithaca, N.Y., and Jim Page of Pine City, N.Y.; several nieces, nephews and cousins. Calling hours were held Monday, Oct. 30, at the Zwicharowski Funeral Home, Blossburg, where a vigil service and a Knights of Columbus service were also held. A prayer service was held Tuesday, Oct. 31, at the funeral home followed by a mass of Christian burial at Holy Child Catholic Church, Mansfield, with the Rev. Louis Kaminski officiating. Burial was made at Arbon Cemetery, Blossburg. Francis PEQUIGNOT, aged 48 years, of Blossburg, died at 11am. Thursday, October 18, 1945 in the Blossburg Hospital, after a illness of six months. He was born in Sebring, and for the past 26 years was owner and operator of the Pequignot Garage and Service Station in Blossburg. He was a member of the Masonic Lodge. Surviving are his widow, Margaret; his parents Mr and Mrs Charles Pequignot, of Blossburg; and a sister, Mrs Harry Maneval , of Ringtown. Funeral services were held Sunday, Rev. Dwight Loder, Methodist Minister, officiated; burial in Arbon Cemetery, Blossburg. 88, passed away Thursday, May 9, 2013, at Soldiers and Sailors Memorial Hospital, Wellsboro. Born March 23, 1925, in Arnot, she was the daughter of John and Annie Small Parry. She retired in 1990 from Ward Manufacturing, Blossburg. Mary Emma was a member of the Arnot Presbyterian Church, lifetime member of Royal Order of Moose, Chapter 981, Canton, for 56 years. She loved her time spent attending church services, singing and listening to gospel music. She was also a fan of country music. The time of her life and best vacation ever, which she spoke of often, was her trip to Hawaii with her daughter. She loved her family very much and enjoyed attending all events they participated in before her health prevented it. Mary Emma is survived by son, Donald Lee of Arnot; daughter, Donna Marie of Blossburg; grandsons, Edward Charles and wife Betsy of Jersey Shore, Patrick Michael and wife Melissa of Palm Harbor, Fla., Donald Lee Jr. and wife Peggy of Hinesville, Ga.; great-granddaughters, Emma, Grace, Emily, Mikayla, and Makenna. Preceded in death by her parents; husband, Donald A. Stevens on Dec. 30, 1965; brother, Charles W. Parry; sister, Anna P. Brooks and brother-in-law Edwin Brooks. Funeral services will be privately held for family members at the Freeberg Funeral Home, Blossburg with the Rev. John Shypulefski officiating, interment will follow in Arbon Cemetery, Blossburg. Wellsboro Gazette – May 19, 2013. Doris E. Novitski, 54, of 230 South Williamson Road, Blossburg, died Saturday, August 22 as the result of an auto accident. She was born January 31, 1933 in Morris Run, the daughter of Otto and Elvira Johnson Patterson. She had been employed for 15 years as secretary for North Penn High School in Blossburg. She was a member of the Siloa Lutheran Church and secretary of Ladies Aide. She is survived by her husband, William of Blossburg; two sons, Richard Berg, of East Berlin, Pa. and William F. Novitski, of Blossburg; one daughter, Karen Elaine Berg, of Williamsport; three brothers, Carl Patterson, of Ottawa, Ohio, Clifford Patterson, of Elmira, NY, and Kenneth Patterson, of San Bernadino, Calif.; one grandchild; a brother-in-law, Donald Berg of Homer, NY; and several nieces and nephews. Funeral services were held today (Wednesday), August 25, at 10:30 am in the Siloa Lutheran Church in Morris Run with the Rev. George E. Doran, supply pastor, officiating. Interment was made in Arbon Cemetery in Blossburg. Arrangements were made by Drinkwine Funeral Home of Blossburg. PATTERSON – Doris E. Novitski, 54, of 230 South Williamson Road, Blossburg, died Saturday, August 22 (1987) as the result of an auto accident. She was born January 31, 1933 in Morris Run, the daughter of Otto and Elvira Johnson Patterson. She had been employed for 15 years as secretary for North Penn High School in Blossburg. She was a member of the Siloa Lutheran Church and secretary of Ladies Aide. She is survived by her husband, William of Blossburg; two sons, Richard Berg of East Berlin, PA and William F. Novitski of Blossburg; one daughter, Karen Elaine Berg of Williamsport; three brothers, Carl Patterson of Ottawa, Ohio, Clifford Patterson of Elmira, NY, and Kenneth Patterson of San Beradino, Calif.; one grandchild; a brother-in-law, Donald Berg of Homer, NY; and several nieces and nephews. Funeral services were held today, (Wednesday), August 25, at 10:30 AM in the Siloa Lutheran Church in Morris Run with the Rev. George E. Doran, supply pastor, officiating. Interment was made in Arbon Cemetery, Blossburg. Arrangements were made by Drinkwine Funeral Home of Blossburg. Mrs. Esther P. Wilson, 58, wife of George S. Wilson, of 108 McIntyre Street, Blossburg, died Thursday, Jan. 3, 1974, at the North Penn Community Health Center. She was born in Morris Run on Aug. 1, 1915, a daughter of Otto and Vera Johnson Patterson. Mrs. Wilson was a member of the Siloa Lutheran Church, Morris Run. Surviving, besides her husband, are two daughters, Mrs. Robert Alexander, of Liberty RD 1, and Mrs. Charles Gibson, of Girardsville; four brothers, Arthur of Raymond Patterson, both of Elmira, NY; Gilbert Patterson, of Ottawa, Ohio, and Kenneth Patterson, of San Bernardino, Calif; two sisters, Mrs. Jack McFeiggan, of Midland Park, NJ, and Mrs. William Novitski, of Blossburg, and five grandchildren. The funeral was at 1:30 pm Sunday at Auld's, 120 North Williamson Road, with burial in Arbon Cemetery. The Rev. Glen Sullivan, her pastor, officiated. MISS RUTH PERRY, 84, of 9 S. Washington St., Canton, died at the Sayre House, Sayre, Pa., Aug. 18, 1980. Miss Perry was born July 11, 1896 at Fallbrook, Tioga County, a daughter of Harry and Elizabeth Gardner Perry. She was a member of the Canton Ecumenical Parish and a retired employee of the former Belmar Manufacturing Co. in Canton. She is survived by several cousins. Funeral and committal services will be held Wednesday at 3 p.m. at the Morse-Kleese Funeral home, Canton, with the Rev. Clarke J. Redmond, her pastor, officiating. Interment will be in the Arbon Cemetery, Blossburg. Friends may call at the funeral home Tuesday from 2 until 4 p.m. Donations may be directed to the Canton Community Nursing Association. –Towanda Daily Review. E. Homer Age 85, of Blossburg, PA, died Tuesday, July 19, 2005, at Robert Packer Hospital in Sayre, PA. Homer was born on June 6, 1920 in Oakgrove, Delaware the son of Edward and Florence (Ferrier) Phillips. He worked in the finance department for several credit unions over a period of 30 years. He was a WWII US Navy veteran and a member of the DAV. Homer is survived by his daughters and sons-in-law, Barbara and Alan Weber of Fallston, MD, Angel and Kevin McVaugh of Blossburg, PA; the beloved friend of Jeannette Dawson of Blossburg, PA; three grandchildren, James Edward Weber, Kim Keating, Hunter McVaugh; four great-grandchildren; and a brother and sister-in-law, Walter and Lucille Phillips of Levittown, PA. A graveside service will be held on Saturday, July 23, 2005, at 1 p.m. in Arbon Cemetery, Blossburg, PA, with the Rev. Richard Berg officiating. Services are under the direction of the Jacquelyn A. Buckheit Funeral Chapel, Crematory & Monuments, PC 637 S. Main St., Mansfield PA.
Age 91, of Blossburg, died peacefully surrounded by his loving family Thursday, April 24, 2008, at Broad Acres, Wellsboro. Born January 20, 1917, the son of the late Merton and Dora Ripking Pierce. Charles was preceded in death by his wife of 70 years, Dorotha, in 2006. Charles was a veteran of WWll having served with the U.S. Navy. He attended the Calvary Mennonite Church in Morris Run. He was an avid fisherman and hunter, and was well known as a craftsman in the field of fly tying. Charles is survived by his children, Joan (Larry) Wheeler, Cherry Flats, Marilyn (Robert) Gaylord, Pensacola, FL, Pastor Norman (Sharon) Pierce, Canton, Philip (Beth) Pierce, Stony Fork, Janice (Harold) House, Blossburg, and Karen (Skip) Warriner, Wellsboro. Also surviving are 16 grandchildren and many great-grandchildren. In addition to his wife Dorotha, he was preceded in death by a grandson, Christian Decker; and sisters, Margaret Spencer and Jean Pierce, both of Canton. Family and friends will be received at the Freeberg Funeral Home, Blossburg, Sunday, April 27 from 6 p.m. until 9 p.m. Funeral services will be held Monday at 1 p.m. from the funeral home. Officiating will be Pastor Norman Pierce, Pastor Robert Martin and Pastor Dean Edwards. Burial with full Military Honors accorded will follow at Arbon Cemetery. Published in the Star-Gazette on 4/26/2008. PITTS, Ida – Miss Ida Pitts, aged about 30 years, only child of Levi and Hannah Evans Pitts, of Blossburg, died Monday evening about 10 o’clock in the Blossburg hospital. She was a teacher in the Blossburg public schools and was well-known and highly esteemed by a wide circle of friends. She had many relatives in Wellsboro, Charleston, and vicinity. Wellsboro Agitator, 5 March 1919. Additional article in Agitator on 12 March: The following people from this vicinity attended the funeral of the late Miss Ida Pitts, of Blossburg, last Thursday: Mrs. Fred Evans, Miss Nettie Bowen, Mr. and Mrs. O.H. Evans and son, Ellsworth; Mr. and Mr. J.J. David; Mr. and Mrs. Gaylord Benjamin, Mr. and Mrs. D.E. Evans and Mr. and Mrs. Jos. H. Evans. The statement in last week’s issue that Miss Pitts died at the hospital was an error, as she died at her home. POLLARD- Mrs. Lena Brueilly, widow of Peter Brueilly, of Elmira, formerly of Covington, died at the home of her daughter, Mrs. Ester Clark, February 16, 1944. Survivors include two daughters, Mrs. Clark, of Elmira; Mrs. Marjorie Devitt, of Millerton; one son , Raymond of Covington,; two sisters, Mrs Henry Williams, of Conrad, and Mrs. William Knickerbocker of Redlands, Calif. : eight grandchildren and two great-grandchildren. Funeral services were held Saturday; burial in the Odd Fellows cemetery, Blossburg. POWELL - MARTIN, Eva, age 74, of 428 Birch St., Williamsport, Pa., formerly of Blossburg, Pa., Sunday, April 9, 1972 at the Devine Providence Hospital, Williamsport, Pa. Friends are invited to call at the Auld Funeral Home, Blossburg, Pa. Tuesday from 7 to 9 p.m. Funeral and committal services there Wednesday at 2 p.m. Rev. George E. Booth officiating. Burial in Arbon Cemetery, Blossburg, Pa. Survived by brother, Elias Powell of San Jose, Calif.; several nieces and nephews. She was a member of St. Luke’s Episcopal Church and the Faith Rebecca Lodge No. 96, both of Blossburg, Pa.
--Mr. David Pryde, of Blossburg, was found dead in his bed last week, Sunday morning. He had seemed to be in his usual health the day before and spent most of the day at work in his garden. He was in his usual spirits on retiring. Mr. Pryde was 71 years of age. He was a native of Scotland, but he had been a resident of Blossburg for nearly half a century. He leaves a widow. --David E. Pryde, of Elmira, died at 4 o’clock Wednesday afternoon, after an illness of four months. Mr. Pryde had been a resident of Elmira for the past thirteen years, removing there from Blossburg. He is survived by his widow, two daughters, Mrs. Harry J. Halpin, of Elmira, and Miss Anna D. Pryde, at home; also two sons, A. D. Pryde, of Ithaca, and Robert Pryde, of Philadelphia. --The remains of James Pryde were brought to Blossburg for interment in Arbon cemetery on Sept. 29. Mr. Pryde was formerly a resident of this place. Word has been received here of the sudden death of John Pryde, of Tyler, brother of Mr. David Pryde, of this place. RAUSCHER, William – William Rauscher, aged 63 years, died at the Blossburg hospital Oct. 19. He had been in poor health for several years. Several weeks ago he suffered a stroke of paralysis and he was taken to the hospital but the doctors were unable to do anything for him. He is survived by one daughter, Miss Florence Rauscher, of Newberry. The funeral was held Tuesday, Rev. G.A. Scott, of the M.E. church, officiating; burial in Arbon cemetery, Blossburg. Wellsboro Agitator, 29 October 1919. Donald Reid, 54, of Glen Campbell, formerly of Morris Run, died of a heart attack Saturday, January 8, 1972, at his home. He was born in Morris Run on August 28, 1917, a son of Robert and Fannie Boyd Reid. He was district manager of Interstate Amiesite Company at Dunbar at the time of his death. He was a former employe of the J.P. Ward Foundry, Blossburg, and operated the former Wakley Hotel at Westfield. Mr. Reid was a member of Bloss Lodge 350, F&AM, Jaffa Shrine at Altoona, the Williamsport Consistory, and the William B. Wilson American Legion Post 572 of Blossburg. He was a veteran of World War II. Surviving are his wife, the former Laura Levindowski; three sons, Donald, of Rossiter, Gary and James, both at home; mother, Mrs. Fannie Reid, Riverside Park area, Blossburg; a sister, Mrs. Janet Guy, Morris Run; two brothers, John (Jack) and James, both of Blossburg. The funeral was held Wednesday at Auld's, North Williamson Road, Blossburg. Burial was in the Arbon Cemetery, Blossburg. The Rev. Kenneth A. Burket, pastor of the Blossburg First United Methodist Church, officiated. Robert Gilbert Reid, age 51, of 402 Union Place, Elmira, formerly of Blossburg, died suddenly, Tuesday, February 27, 1973. Funeral service and committal was held at the Auld Funeral Home, Blossburg, Thursday with the Rev. Kenneth A. Burket officiating. Burial was in Arbon Cemetery, Blossburg. He is survived by sisters, Mrs. Howard (Jean) Everson and Mrs. Clarence (Lucille) Hodder both of Blossburg, and several nieces and nephews. James W. Rennie, 78, of Mansfield RD 3, died Monday, Dec 16, 1974, while visiting at the home of his daughter, Mrs. Mary DeKoschak, Auburn, NY. He was born at Arnot on Oct 4, 1896, a son of Hugh and Mary Williamson Rennie. A veteran of World War I, he was a member and past commander of the Blossburg American Legion Post No. 572. Mr. Rennie also was a member of the Blossburg Independent Order of Odd Fellows No. 485, the Covington Grange, and of the Church of Christ of Canoe Camp, PA. He was a retired carpenter. 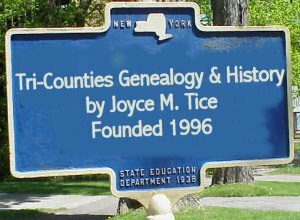 Surviving, besides his daughter, are his wife, the former Melvina Woodard; a son, James, of Coldwater, Mich.; a brother, Matt, of Endicott, NY, and two grandsons, and several nieces and nephews. A private funeral was at 1 pm Friday at the Auld Funeral Home, North Williamson Road, Blossburg. Burial was in Arbon Cemetery, Blossburg. The Rev. Kermit Clickner, pastor of the Canoe Camp Church of Christ, officiated. Mrs. Maude ROBBINS Schultz and Glenn Martin , of Blossburg were killed at about 10:30 a.m. Monday when the car in which they were riding was struck by a locomotive of the Bloss Division of the Erie Railroad at the Main street crossing. Mr. Martin, brother of Roy D. Martin of Horseheads, was being driven home from a physicians office by Mrs. Schultz, a neighbor. A.E. Parks of Hornell, engineer of the train, told Jack Van Dyke, investigating Blossburg police chief, that he had blown a whistle for the crossing, which is unguarded. He said Mrs., Schultz apparently did not see the train in time and then tried to beat it across the tracks. Mrs. Schultz was killed instantly: Mr. Martin died shortly after arrival of a physician. The train hit the Schultz car on the side in which Mr. Martin was riding. He was thrown from the demolished car while Mrs. Schultz was carried along in the wreckage. ROCKWELL - MRS. CONSTANCE COOPER: Mrs. Constance Rockwell Cooper, of St. Petersburg, Fla., a native of Blossburg, died Sunday, Dec. 16, 1973, at St. Petersburg. She was born a daughter of Charles and Lucy Rockwell. Mrs. Cooper was a member of the Blossburg Episcopal Church. She was a graduate of the Mansfield State Teachers’ College. Surviving are a stepson, Thomas Cooper, of New York City, and a brother, John Rockwell, of St. Petersburg. Graveside services were at 11 a.m. Friday in Arbon Cemetery. The Rev. George E. Booth, her pastor, officiated.